My overlay in Amsterdam was for about 3.5 hours and I tried to use the British Airways Galleries Lounge inside the Terminal 3, just before passport control. As I tried to check-in to the lounge, I got denied access because I was not departing on a Oneworld flight. I just flew in on American Airlines in Business and I am Top-Tier with American, which would give me Oneworld Emerald Status. Just because my connecting flight was operated by Lufthansa, I wasn’t able to use the facilities. Funny thing is, American Airlines sold me the Lufthansa segment of my trip and my bag got checked through all the way to my final destination as well. Oneworld just wanted to cheap out on loyal members in my opinion. I don’t know why you can’t use the lounge when you just flew in on Business Class and hold Oneworld Emerald Status as well. 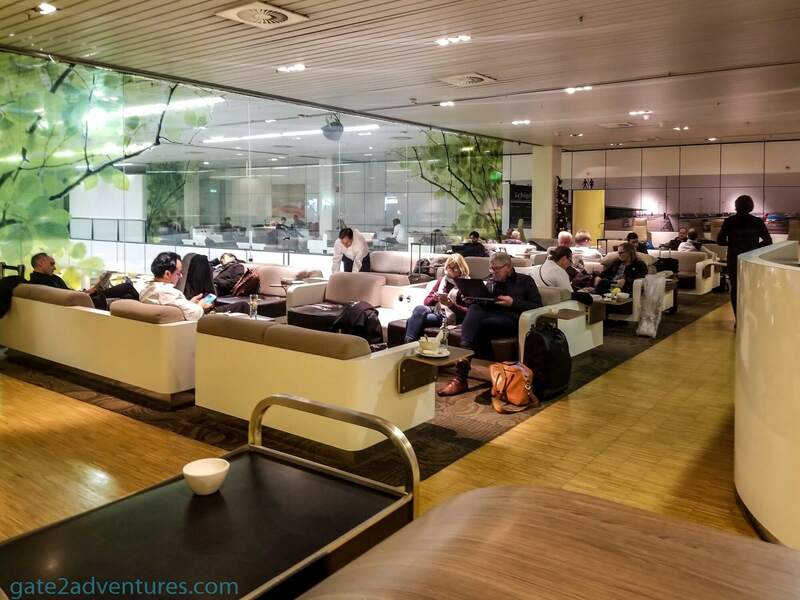 No matter which airline you connect on, you should be able to use the lounge. The agent’s told me, that this is no arrivals lounge. Well, I am arriving and leaving. 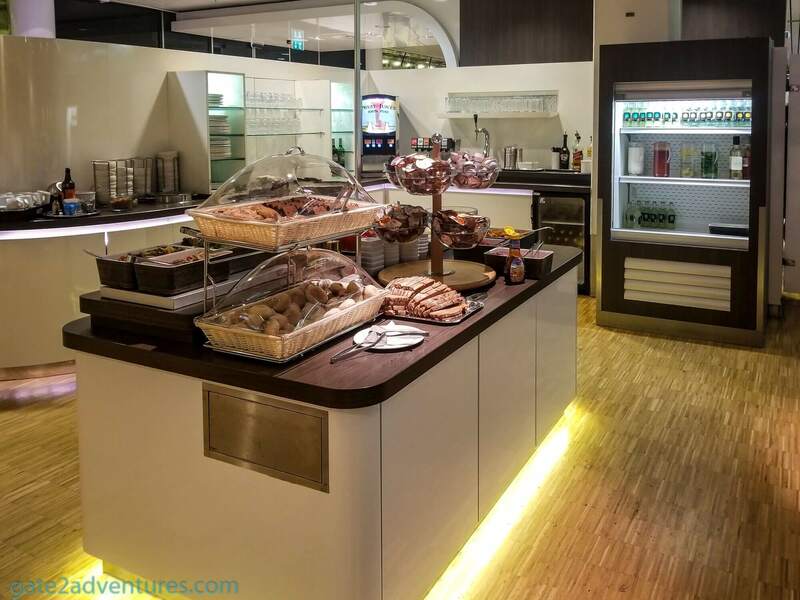 But, unfortunately, there is not one lounge within the Oneworld alliance which is called “Transit-Lounge”. 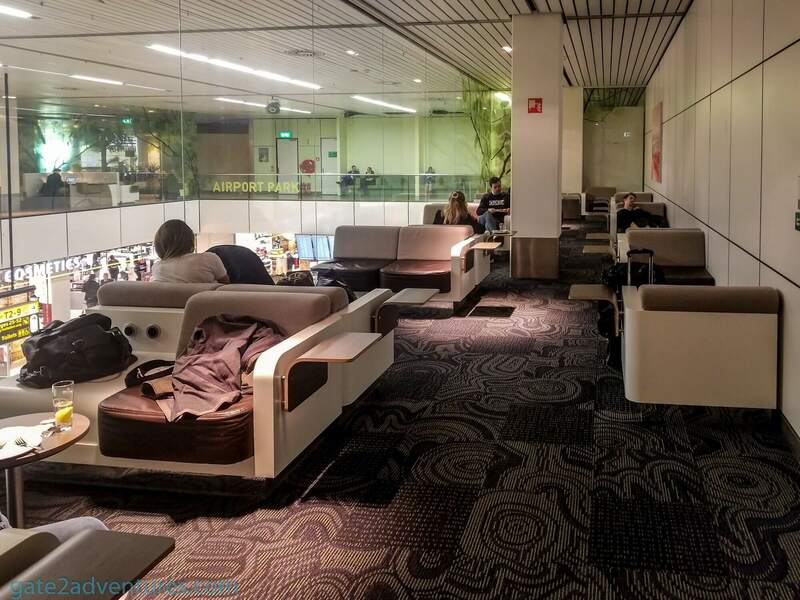 My next try was at the neighboring Aspire Lounge (41), which I could access through my Priority Pass Membership. However, they denied access as well, because I am connecting on Lufthansa and there is another Lounge just past passport control for Schengen flights. I really don’t know where the big difference is between using this lounge or the other. There is even a sign right before passport control to tell you to not go through passport control if your connecting flight is not departing within 2 hours. Well, mine wasn’t, that’s why I tried the lounge in this terminal before crossing passport control. But I got promised the other lounge would work and I tried my luck. 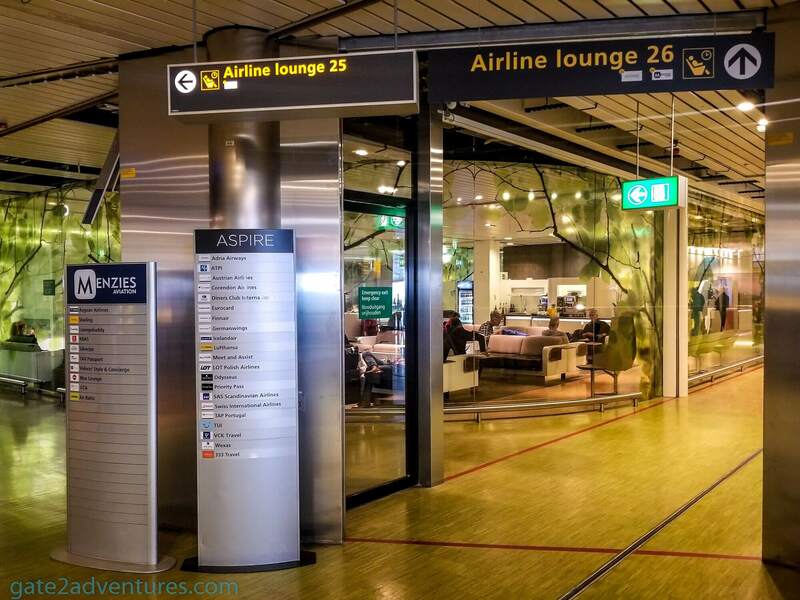 To find the Aspire Lounge, just go through passport control and follow the signs for Airport Lounges and look for Lounge 26. 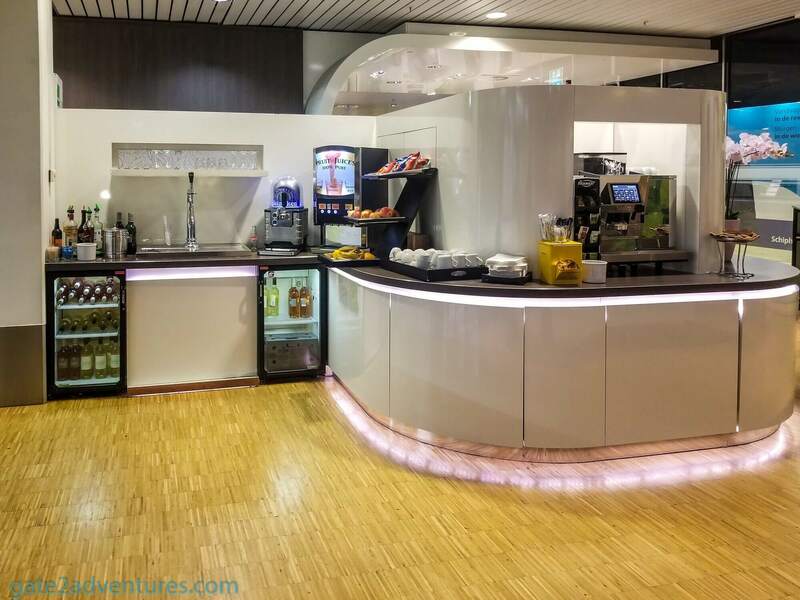 The Aspire Lounge is located on the mezzanine level of the terminal building. To get upstairs you can use either the escalator or the stairs, which are located right next to each other, or the elevator which is on the other corner. Once I got off the escalator I saw more signs pointing me to the lounge and it was an easy find from there on. Passengers traveling on EasyJet flights to a Schengen destination are unable to access the lounge. daily from 5:30 a.m. until 9:30 p.m. The only exception is the Saturday from July 1st until March 1st: The lounge will be open on Saturday in that time period from 5:30 a.m. until 8 p.m. Finally, it started to look a lot better in this lounge. The only problem was that I didn’t have a boarding pass for my departing flight, as American Airlines won’t print it for you and you have to get it yourself. I tried to use the free airport Wi-Fi but that was so terrible and stopped working all the time. I constantly lost connection and it was supposed to last for four hours before you have to renew your network lease. I made it sometimes not even four minutes. As I explained the situation to the agent she was kind enough to let me in. Thanks! 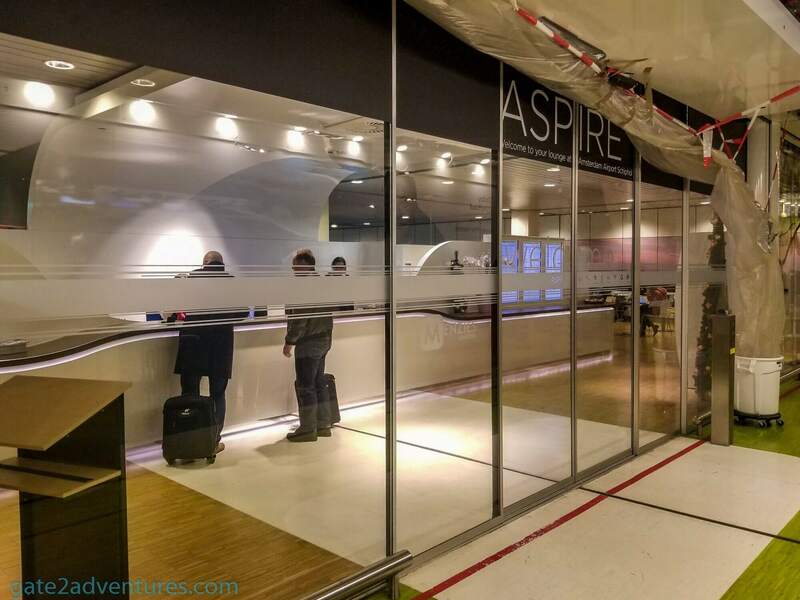 The Aspire Lounge is shaped like a U and the glass wall on the inside of the lounge gives you a view of the departure hall below the lounge. The right side of the lounge has more seating and the bigger snack bar, while the left side has less seating and also a little bit smaller snack bar. However, on the left, you have more spaces to set up your laptop to get work done. As this was a vacation trip I just went with a single chair to sit down, relax and grab a quick bite and drink. Foodwise they had little snacks to offer like cheese and sausage and you could choose between different fountain drinks, juices or use one of the coffee machines. This is what they call “lunch” in the Aspire Lounge 26. Not too thrilled about it and I didn’t even grab anything. When I arrived the lounge was about half full and plenty of seats were still open. I looked for a more secluded one along the far wall of the lounge, near the entrance to the restrooms. Staff walked regularly through the lounge to pick up trash and finished dishes. 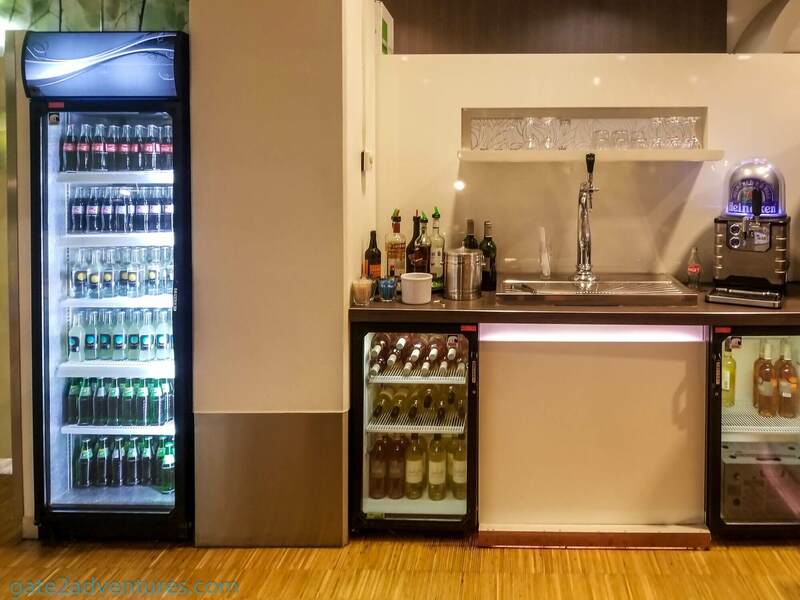 This great service and the overall maintenance of the lounge made it feel very clean and well kept. 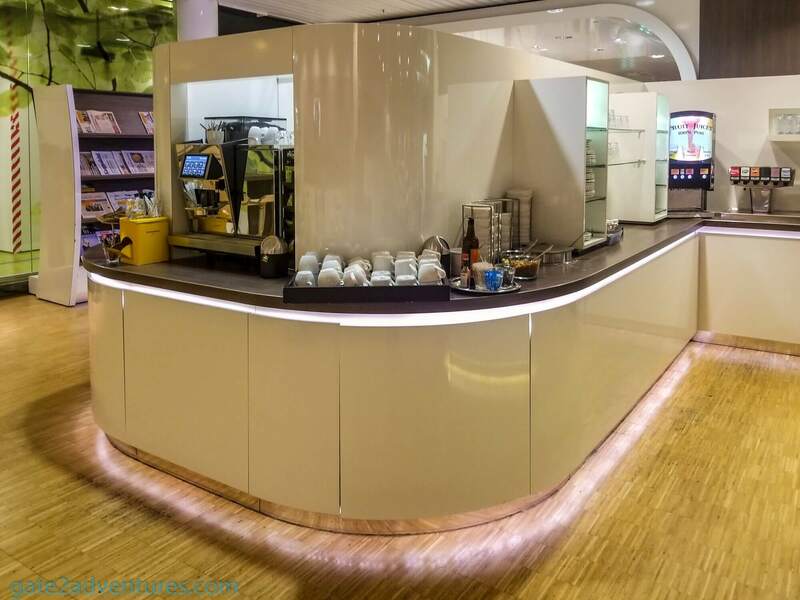 The Aspire Lounge is nothing special, however, it gives you a quiet place to sit down and unwind from the airport-stress. Unfortunately, the lounge Wi-Fi uses the same airport Wi-Fi and had the same connection issues. I tried both my Android phone and iPad and always the same issue. 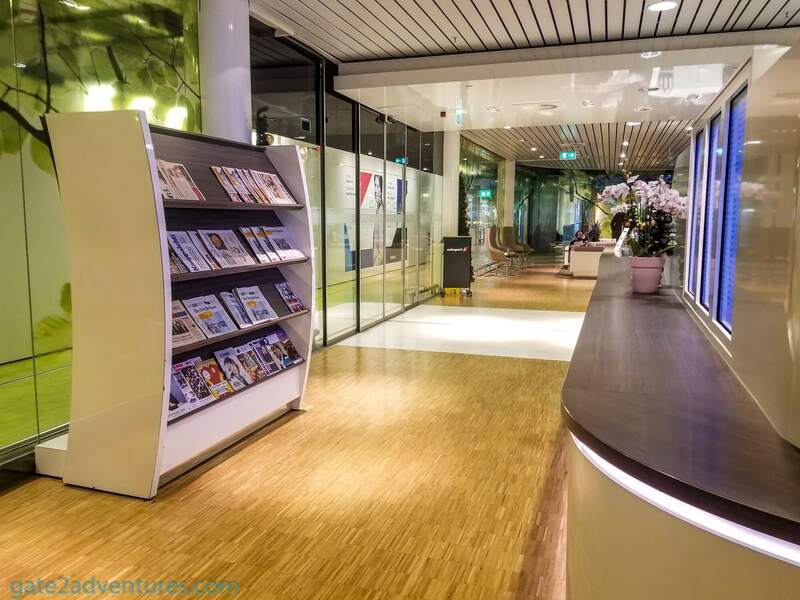 There are departure monitors inside the lounge to keep an eye on your flight. This helped me a lot, as I couldn’t trust the wifi to connect to be able to update my flight information to check for gate changes. Also, there are no announcements made inside the lounge. You are responsible to check for your flight. 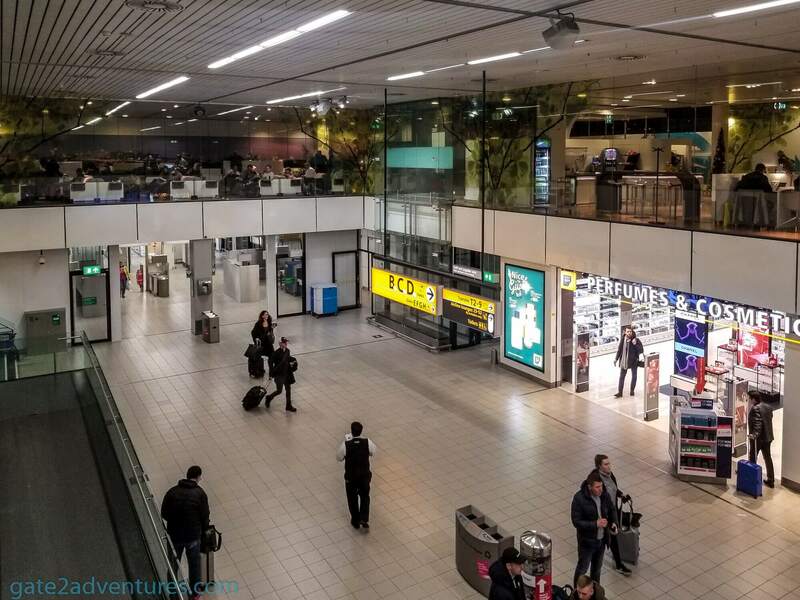 As the Schiphol airport is a very big airport, I asked at the check-in counter how long the walk time would be to my gate. As I cleared already passport control, the only thing I had to do, was walking to my gate. It was about a 15-minute walk to reach my gate. Of course, the inbound flight came in late and we started boarding a few minutes late. Boarding was completed fairly quickly as we were only 26 passengers + crew on a plane which could carry 180 passengers + crew. 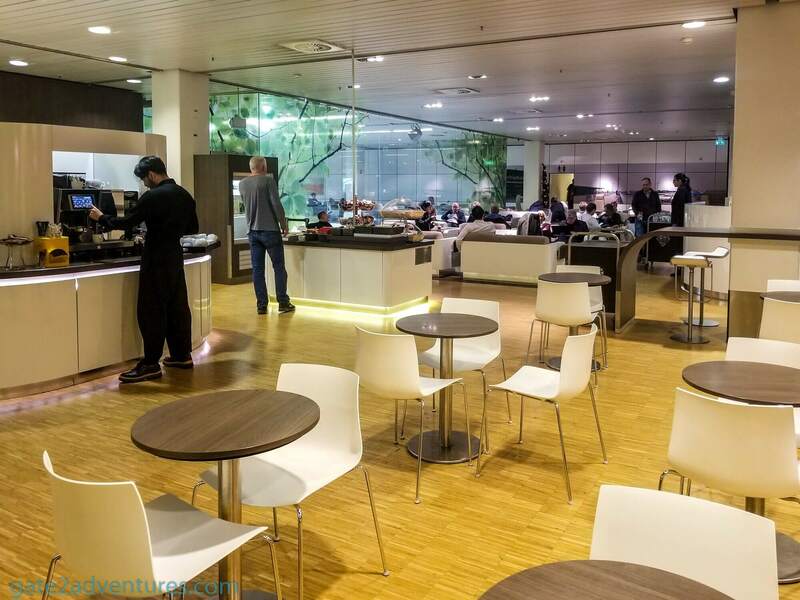 The Aspire Lounge 26 in the Schengen-Area is better than no lounge at all. But it’s nothing I would really look forward to spending time there. If you can access any other lounge, I would recommend you to try that one first.